A stiffer brush, such as bristle, works better with a shaving soap whilst shaving creams can be used with a softer brush such as badger. This is due to the 'effort' needed to create the lather. Product can be used directly from pot and simply work the top of the soap with a wet (not soaking) shaving brush until the bristles are 'loaded' with shaving soap. 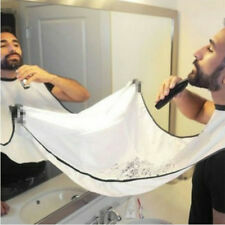 Tablier Rasage Poil Cheveux Moustache Barbe. Tablier ramasse poils. Couleur Aléatoire. Facile à utiliser. Ne prend pas de place. Enriched with sandalwood, shea butter and glycerin, this classic shaving soap effectively softens the skin and prepares it for a comfortable shave. A stiffer brush, such as bristle, works better with a shaving soap whilst shaving creams can be used with a softer brush such as badger. The perfect gentleman's companion: heals and freshens! 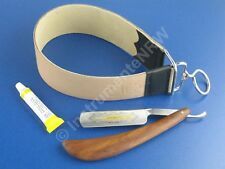 PASTE SHOULD BE USED ON TO THE LEATHER OF THE STROP WITH THE PALM OF YOUR HAND WITH GENTLE PRESSURE. Buy More & Save More. BUY HERE FOR ONLY. FREE WITHIN U.K MAINLAND ONLY. Pouch to keep both razor & brush in good condition. FOR RAZOR & BRUSH. TRAVEL LEATHER POUCH. Perfect for travel purposes. Faux Black Leather. Length when Closed:15cm. 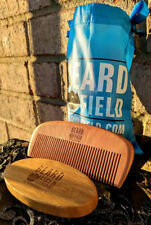 The beard Comb - Our 6" x 2.3" handmade beard comb is made out of natural sandalwood and a quality finishing for long lasting. 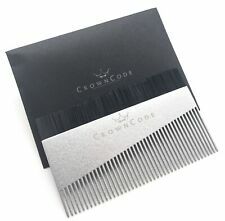 The comb is double sided and has both thick & thin fine tooth that can get through any hair or beard, assuring no snagging or hair pulling like other cheap plastic combs. Tallow ensures an easy, enduring lather but also acts as a natural lubricant to improve razor glide which prevents small nicks and cuts. This is the 125g Shaving soap refill for the classic Tabac shaving bowl. We use the only organic and pure ingredients sourced in the UK and certified by soil association. We bring you affordable male grooming products with no compromise on quality. 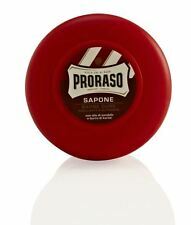 With a fresh scent to keep your senses awake it's a great wax to use daily. 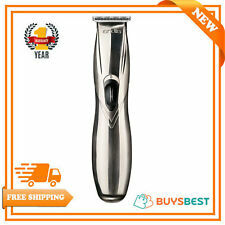 NEW Parker A1R Travel Double Edge Safety Razor. The Parker A1R Travel Safety razor has a handle which screws together and the infamous Parker Safety Razor 2 Piece head assembly for a close shave. We believe this razor will rival any on the market for shave closeness and comfort - even those costing much more - and it has the convenience of being a travel razor too! Added Lanolin and Tallow make the performance and lather from this wool fat shaving soap very suitable for those with sensitive skin. Mitchell’s shaving soap is made to an exclusive 70 year old traditional formula. Pivoting up and down and side to side, the flexible head enables the Panasonic’s RW30 to follow the contours of the skin eliminating stubble, even in the most difficult-to-reach areas. Panasonic’s Wet & Dry Technology provides you with the flexibility to shave dry or wet with the convenience of an electric razor. For people whose hair grows slowly, people who need to grow hair faster, or people with inelastic, tangled, dull and brittle hair. Usage: add 3ml hair growth essence into 10ml shampoo and stir evenly. Leaves your Beard soft, clean and manageable! 8 Scents! Handmade Shaving Bowl - Suribachi Blue. The lather bowl incorporates a suribachi grooves in raw clay. Steve Woodhead Studio Pottery - signed SW. I have been making handmade shaving pots for over 5 years now. Valobra shaving sticks are rich with Tallow, Coconut Oil & Glycerin. This shaving soap is incredibly rich and produces an unbelievable lather, promising a clean shave with a soft, supple touch to the skin. Keep away from children. Avoid cutting tape or other sticky material with your Unicorn plus scissors because it leaves a sticky coating on Razor sharp edge, this sticky layer may interfere with hair during cutting. A fragrant blend of essential oils and the harmonising extract of the organic, wild harvested Speick plant create a natural aromatic experience. Free of mineral oil-based ingredients. Applying a shaving cream or soap with a brush encourages exfoliation and removes dead skin cells. 1 x Arko Shaving Soap Stick 75g. The perfect shaving experience all in one, compact convenient & economic set. 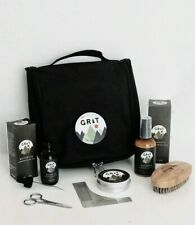 The wet shaving set will also make a great ideal gift for any male of all ages. 1 x Jaguar Shaving Brush Model: 236. Straight edge razors give a closer, cleaner shave and will last for years. Note: Straight razors are not sold shave ready due to health and safety regulations. Enjoy the feel of a traditional shave and take it back to basics with this classically styled straight edge razor. Professional Hairdressing Scissors Barber Hair Cutting Gold Edition Shears 4.5"
Professional Hairdressing Scissors Barber Shears Golden. 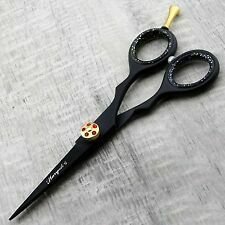 1x Professional Barber hairdressing Hair cutting scissors Shears. ng Scissors Shears Grooming Scissors. 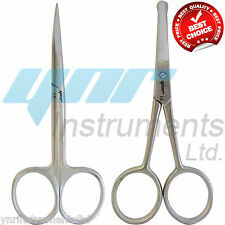 4.5" Professional pet Hair cutting Scissors Pet Grooming Scissors. Tallow ensures an easy, enduring lather but also acts as a natural lubricant to improve razor glide which prevents small nicks and cuts. 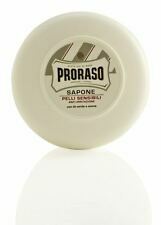 125g Shaving soap supplied in a classic white ceramic pot with contrasting black lid. 150ML BEARD STYLER. Each bottle is finished with an easy to use pump cap. 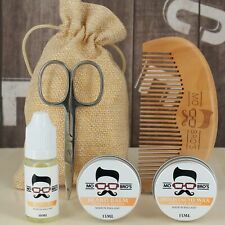 manageable, and ideal for perfecting your desired moustache and beard styles. 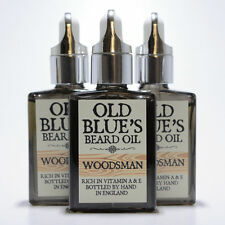 30ML Beard Oil is non greasy and easily absorbed. LUQX Shave Kit Rasurset Intensiv rot. 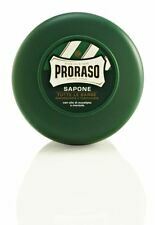 Proraso Shave Kit Rasurset Intenisv. Fonex Haarpflege. Diese Pre-Shave Cream ist die ideale Vorbereitung für die Rasur, besonders für einen dichten und üppigen Bartwuchs sowie hartes Barthaar geeignet. Premium Hand Crafted Quality | Your Own BRAND! BaByliss tools are used in hair and beauty salons and BaByliss use this expertise to create top performance products. Complete with a range of accessories and a convenient case for easy storage. High grade, diamond-sharpened stainless steel blades provide optimum sharpness and precision and an all over even cut. NEW HEADBLADE HEADSHED LOTION - PEELING 5oz (~150ml). It's the newest rage. Used as a preshave, this creamy buttery HeadShed really works because of the fine ground walnut shells. As with all our products you can use this anywhere on the body.